Alberto Contador claimed his first stage race title of 2016 Saturday at the Vuelta al País Vasco (Tour of the Basque Country). 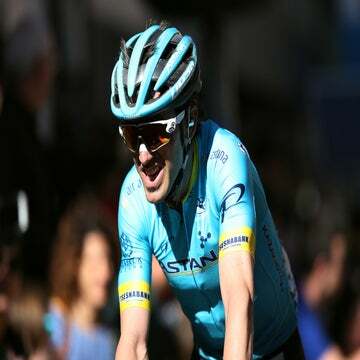 The 33-year-old Tinkoff rider put in the ride of the day to win the stage 6 time trial and leapfrog Sergio Henao (Sky) in the overall standings, nabbing a fourth career GC victory in the race. With this latest result capping off a string of strong recent showings, the Spaniard said after the race that he is putting his plans to retire on hold for now. Nairo Quintana finished second on the stage just five seconds down on Contador, which was good enough to earn him the last spot on the GC podium. Henao took third in the TT. 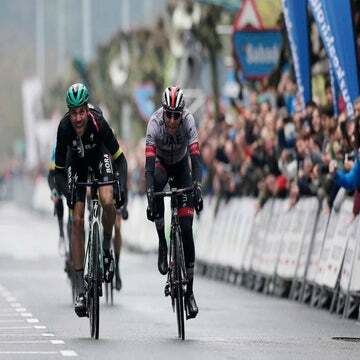 American Caleb Fairly (Giant – Alpecin) kicked off the action on a Saturday afternoon in Eibar, Spain that saw one lead change after another on the climber-friendly 16.5-kilometer course. Adam Yates (Orica – GreenEdge) was the first rider to set a mark that held up for more than a few minutes. His time of 30:06 outlasted challenges from several GC hopefuls before Quintana put in a blistering time of 29:18 to take the provisional lead. Quintana stayed in the hotseat until the penultimate rider on the startlist – Contador – took to the road. Contador started the day six seconds down on Henao, but made up the difference in the TT. Perhaps that’s no surprise given his past performances at the Tour of the Basque Country; Contador also won the TT finales of the 2008 and 2009 editions of the race to sew up GC wins both years. His time of 29:13 Saturday was 18 seconds faster than the mark Henao set as the day’s final starter a few minutes later, granting Contador a fourth career win in the race. The GC victory is Contador’s first of the season, and probably comes as a relief after two near misses at Paris-Nice and the Volta a Catalunya. 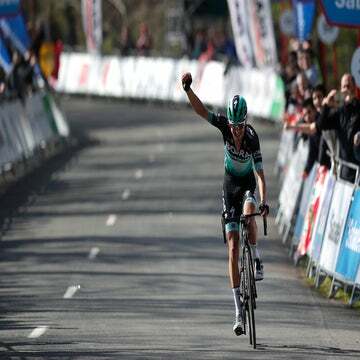 He finished just five seconds down on Geraint Thomas (Sky) in France, and seven seconds down on Quintana in the Volta. Off to such a strong start to the year, Contador has decided to put his retirement plans on the back burner for the moment. “Recently, I have been pondering and thinking about my future with my entourage and most probably I will continue riding,” he said. “I’m sure this isn’t the last time I come here. To be honest, I don’t like finishing second. After two second places in Paris-Nice and Catalanuya, this is a nice victory. American Lawson Craddock finished 25th on the day to seal up the youth classification and a ninth place overall.